Those looking to be refreshed by their shower will find this dual-purpose, sulfate-free body and hair cleanser raises the bar. 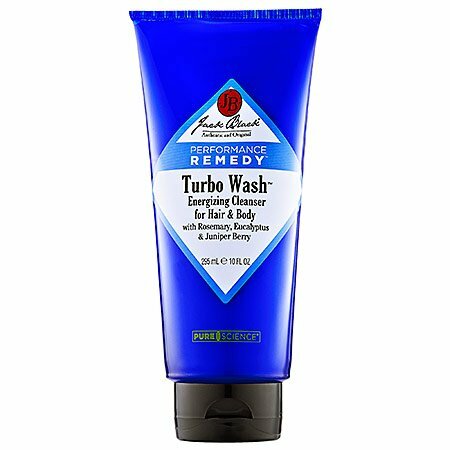 Jack Black Turbo Wash Energizing Cleanser is formulated to wash away dirt and sweat without overdrying. The unique formula in Turbo Wash leaves the entire body feeling revitalized for peak performance. A blend of sulfate-free cleansing agents effectively cleanses the skin and hair without stripping essential moisture. 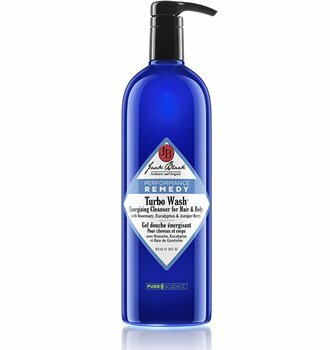 Jack Black Turbo Wash Energizing Cleanser is loaded with certified organic ingredients that work together to produce an energizing aroma, clean the body, and awaken the senses. Rosemary Extract helps calm the skin and fight bacteria on the skin's surface. Eucalyptus aids breathing, decongest, and invigorates the body. Juniper Berry is an aromatic herb known for its anti-inflammatory properties. Arnica Extract is added to help minimize bruising, pain, and swelling. Cocamidopropyl Betaine is a coconut-derived surfactant that provides gentle, sulfate-free cleansing and leaves hair and skin hydrated and soft to the touch. The inclusion of Shea Butter helps hydrate and moisturize dry skin and hair. All Jack Black products are carefully formulated with the finest ingredients to be highly effective, yet easy to use. Every Jack Black product is dermatologist tested, paraben free, cruelty free, and free of harsh surfactants. Almost all of the products in our line are vegan, free of artificial colorants, safe for sensitive skin, and made in the USA. 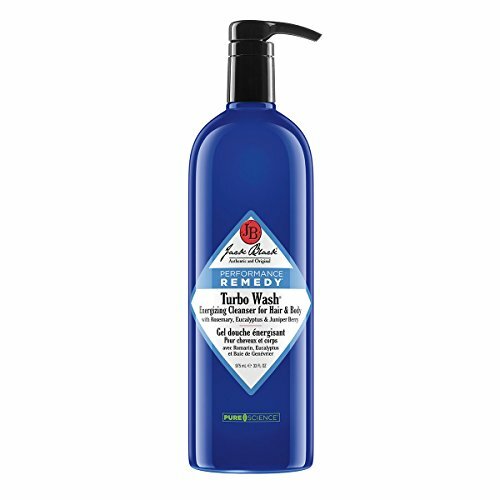 For best results, use Turbo Wash Energizing Cleanser in a warm shower prior to exercise to loosen muscles, open airways, and awaken the senses. Use after exercise to deep clean, refresh, and soothe tired muscles. Use any time to invigorate, effectively cleanse, and jumpstart the body.